Hey Babes, These earrings right here are better than okay... they are AMAZING! These Oval shaped gold trim earrings are such a fun way to add a pop of color to any wardrobe! 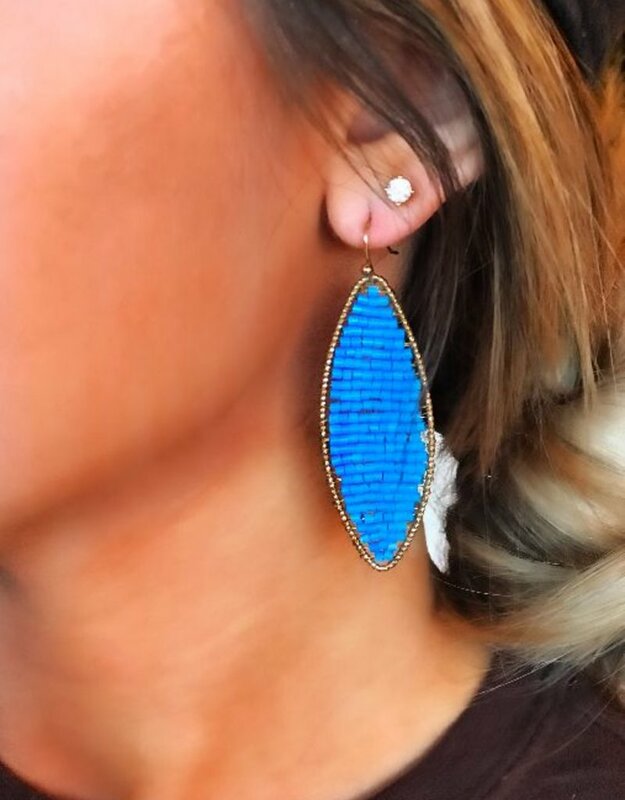 Add these earrings to your cart today Babes. We promise you wont be disappointed.